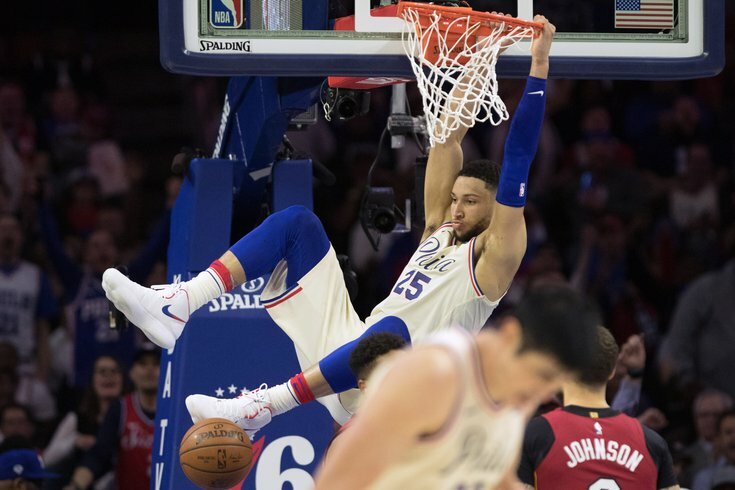 Philadelphia 76ers rookie Ben Simmons dunks against the Miami Heat during the second quarter of Game 5. After taking a pair of hard-fought games in Miami, the Sixers return home with a 3-1 lead and will look to clinch their first-round series against the Heat in Game 5 on Tuesday night. After missing the first two games of the series with a fractured orbital, this will be Joel Embiid's home playoff debut for the Sixers. Follow along here during the game for live updates from the Wells Fargo Center.